The shock of knowing that your beloved dog needs an amputation is upsetting, stressful and frightening. When faced with having to remove a leg, you need answers, and you need them fast. 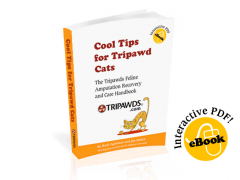 Save on two helpful e-books with the Tripawds Library Bonus Package for complete amputation recovery and care information! Three Legs & a Spare: A Canine Amputation Handbook is a fully interactive PDF including the best tips and advice from more than five years of compiling Tripawds community resources for amputee dogs and their people. Find All the Best Canine Amputation Advice, Now. Since 2006, Tripawds has been the world’s leading resource for those facing amputation for their dogs. Whether you’re coping with a bone cancer diagnosis, a sudden accident, a fracture that wouldn’t heal or a congenital birth defect, the Tripawds community offers the best tips and advice about surgery, recovery, bone cancer treatments and life on three legs. Three Legs and a Spare is the first in a series of helpful Tripawds e-books. This 110-page interactive PDF is a collection of the best advice from more than 3,000 Tripawds community members. With hundreds of informative links, Three Legs & a Spare will save you time and provide immediate answers to your questions. Three Legs & a Spare presents the most enlightening answers from thousands of Forum Discussions, and hundreds of News Blog posts, as well as individual member experiences from their own three legged dog blogs. To see an example of the valuable information within Three Legs & a Spare, download these sample pages. You can then review the entire table of contents to see what the e-book has to offer. We’ve also included a few random pages with links to specific forum posts, informative videos, and much more. This fully interactive PDF about canine amputation addresses bone cancer treatment options, rehabilitation and physical therapy tips, and spotlights helpful Tripawds gear suggestions and nutrition tips that can help make your pup’s life easier. More than five years in the making, Three Legs & a Spare is packed with links to videos, news, forum topics and other specific sections of the Tripawds community where you can continue your discussion with members in real time. The best part about this e-book is that it’s a constantly evolving resource. As new information about canine amputation and bone cancer becomes available and older conclusions become outdated, we will update the PDF so it is always includes the most current information. Once you purchase Three Legs & a Spare you will be able to download the file up to five times any time in the future. 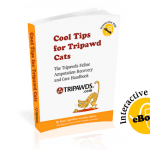 With a completely indexed two-page Table of Contents, and full search capability, this interactive PDF saves you the time and effort of searching thousands of posts in the Tripawds discussion forums and member blogs. You will find direct links to specific posts and every page includes a link back to the index, and the Tripawds forums, to facilitate your research. This is the first in a series of resourceful Tripawds e-books. Stay tuned for more downloadable e-book resources about bone cancer, rehab therapy, and hospice care. 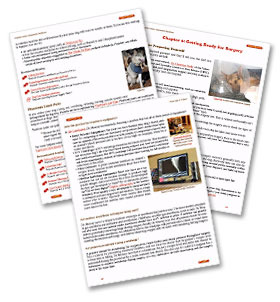 For now, if you’re in a hurry and looking for fast answers about coping with canine amputation, we believe this downloadable PDF has the answers you are looking for. If you are not completely satisfied with the helpful resources and links in Three Legs & a Spare just let us know within fourteen days of your purchase. We will refund your money and you get to keep the eBook! Click the Buy Now button below to immediately download Three Legs & a Spare, then read it whenever you can. You don’t even have to be online to do so! NOTE: Please be sure to save the PDF to your hard drive when viewing on an iPad as it will load in your browser by default and there is a limit of 10 downloads! Or… get two helpful Tripawds e-books and Save! NOTE: You will be redirected to PayPal to complete a secure transaction. You will then receive an email with the link to download your e-book, and an order ID for future reference. If you do not get this email within 2 hours, please check your spam folder. We appreciate your purchase and hope you find this e-book helpful. All proceeds help to cover the costs of maintaining the free Tripawds community, and we are grateful for your support. If you have any questions or suggestions about this book, feel free to contact us and let us know how we can make it better. Please provide your order ID when inquiring about your purchase or check your order status here. WOW! Are treatments for other cancers besides bone cancer addressed? Having not done chemo on Maggie, I really have no idea if say, her type of cancer – soft tissue sarcoma – would be treated with the same types of chemo as bone? Thanks for asking Tracy! The book lightly touches on cancer treatments but not great detail…our next e-book on cancer care will cover that in-depth, definitely. This one, however, is really geared toward new members who haven’t done much, if any, research on the site yet. Long term members might find it focuses heavily on content they’ve already seen since it serves as a handy bookmark for the most helpful Tripawds blog posts and forum topics from the last few years. Do you have this book in a hard copy (not a download)? Is it possible to order it as such? Thanks for asking! 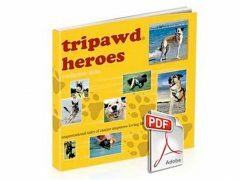 We have considered offering a printed version, but the true value of this e-book is in the more than 800 links to specific Tripawds blog posts, videos and forum posts. Download the sample pages for an example. Considering this, a print version may also be cost prohibitive for most. If we get enough interest from others, we will gladly offer a bound copy. The cost however, will likely be $29.95 to cover production and shipping. It would be more cost effective to purchase the download and have it printed out at your local Kinko’s, Office Depot or Staples, etc. We recommend printing it double-sided (in black and white) on three-hole paper so you can just put it in a binder, or getting it spiral bound. Almost as soon as I sent you my previous email I received your email giving me a password and link to download the book. Thank you. I will look forward to learn more about Tripawd dogs and how as an owner I can help and understand what my dog is going through. Hi Julie! Thank you for confirming you received the e-book download link and password, and for informing others that they will receive two email messages after ordering the book: one purchase confirmation from PayPal, and another from Tripawds with download access information. I wish this book would have been available when Emily got sick. Great job. You are helping so many people! Debra, you are so sweet, thank you from the bottom of our hearts. Emily and Jerry are smiling down on you. I recd the download but can’t find it on my iPad, where I downloaded it from. @ronnie Sorry for the inconvenience, we have emailed you the PDF directly. 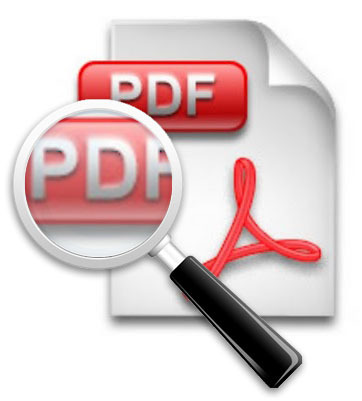 NOTE TO ALL: Please be sure to save the PDF to your hard drive when viewing on an iPad as it will load in your browser by default and there is a limit of 10 downloads. looks you can free download the book, but it’s password protected. For some reason it wont take my password. Any advise? @kjmannisto Yes you can download free sample pages above, but now the full e-book is not free. (You can find a coupon on our facebook page though!) And no password is required.